Founded in 1982 and based in London, Expacare is one of many providers that make up the Jardine Lloyd Thompson Group, a leading international insurance and reinsurance brokers. The Jardine Lloyd Thompson Group was named Asian Broker of the Year in 2005, an award that showcases the group's influence in the region. The Jardine Lloyd Thompson Group employs more than 5,000 people in 30 countries. This means that will always have access to the type of medical consideration that you need and the kind of service that you deserve, regardless of wherever in the world you may be. Likewise, Expacare is a recognized leader in worldwide medical insurance. The company has been doing business since before most private medical insurance companies had even conceived their international operations. Expacare provides healthcare solutions to international residents in over 140 countries and explicitly understands how difficult the expatriate lifestyle can be. Expacare tries to make your time abroad more enjoyable by granting you the security of having medical insurance that meets your high standards of care. Expacare is dedicated to bringing you the caliber of customer service that you would expect from such a well-regarded company. Expacare has generated strong working relationships with partner facilities in Europe, UAE, the Caribbean, and Indonesia. 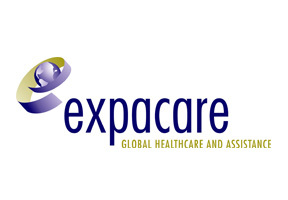 Expacare also works with major worldwide help providers, namely International SOS and Global Assistance and Healthcare. These two companies are renowned worldwide for the efficiency and scope of their services. Since Expacare specializes in international service, the company's sole objective is to bring the services required by the international lifestyle. Expacare focuses on bringing their policyholders quality medical solutions designed for people living outside their country of origin. Expacare strives to generate trust and provide peace of mind in a stressful world. Expacare is constantly adjusting to meet the demands of the globe-trotting policyholder like yourself. To find out more about which type of Expacare services are right for you, contact one of International Medical Insurance's consultants.